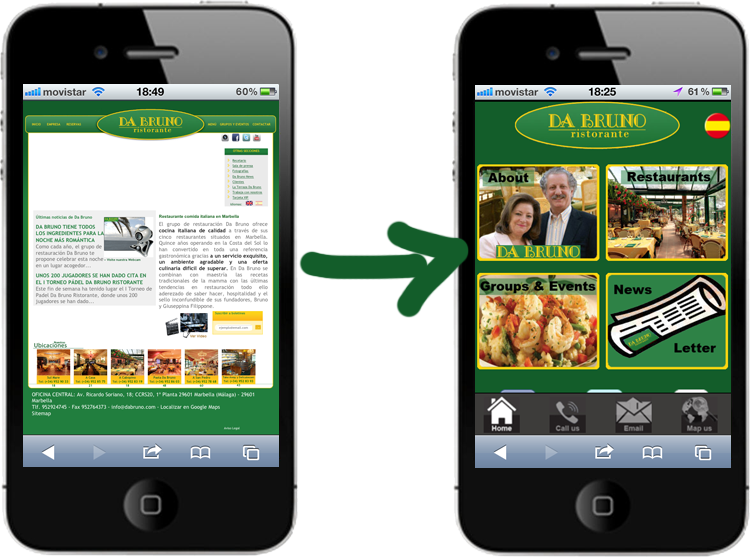 One of the most known restaurant groups on the Costa del Sol (San Pedro de Alcántara, Marbella, Cabopino), Da Bruno, now also runs an OptimaSit mobile site. Ready for the upcoming season, Da Bruno now also reaches all people using smartphones, of which many of them visitors to the area. Features such as proximity search and click-to-call/email are just some of the functions that will drive more customers to their five locations, to enjoy some of their excellent dishes. Go and try it for yourself from your smartphone!